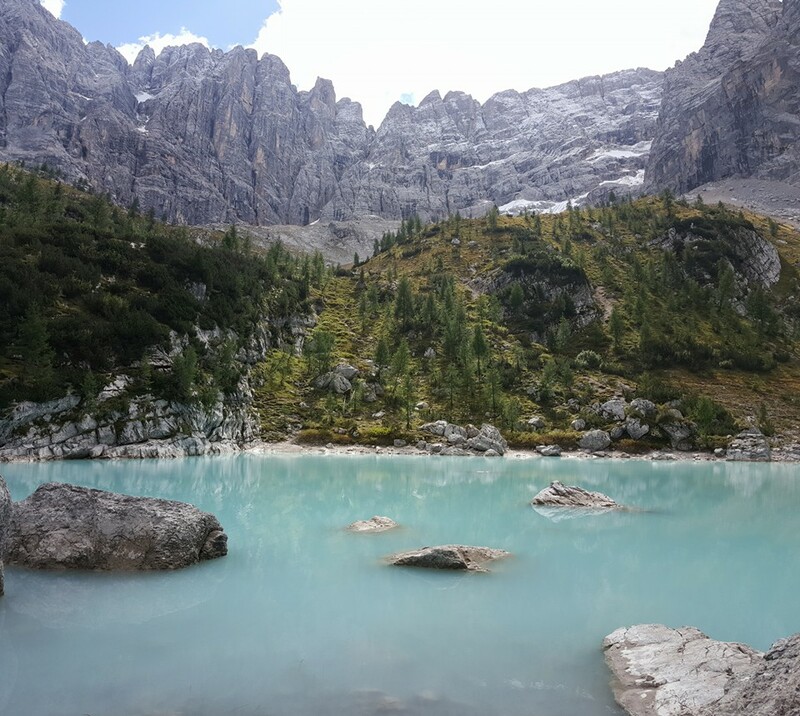 Lake Sorapis (AKA Lago Di Sorapis or Sorapiss) is a stunning turquoise lake in Northern Italy in the Dolomites. 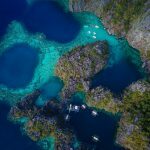 Hiking here is no easy task and involves sections of via ferrata, which include some cables and ladders. 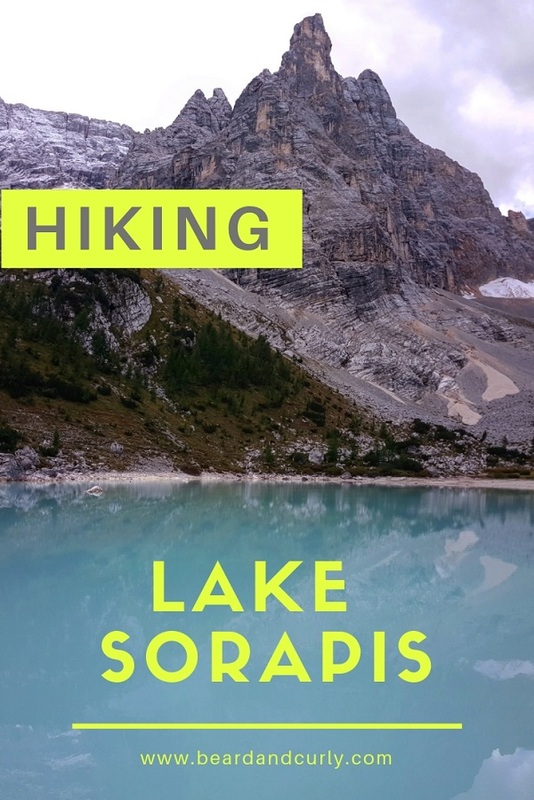 This intermediate hike is worth the effort and offers incredible views of mountain peaks and the dreamy blue waters of Lake Sorapis. While there are many hikes in the Dolomites, this hike was less crowded and is our favorite in Northern Italy. Don’t miss a hike to Lake Sorapis when visiting the Dolomites! 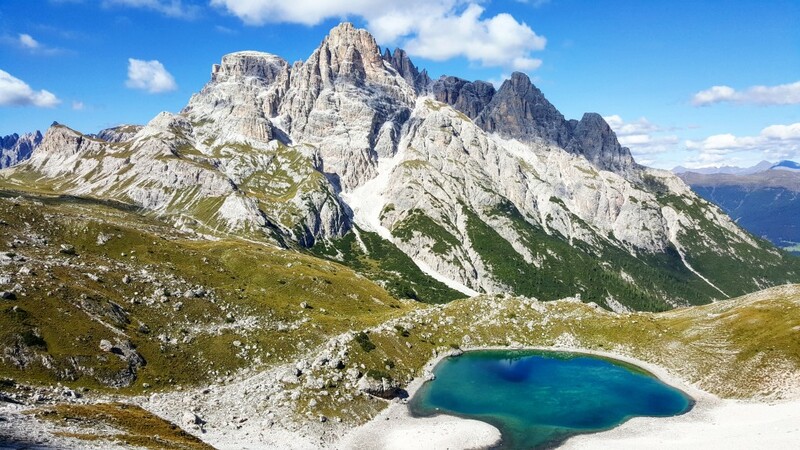 Summer and fall are the best time to visit the Dolomites for hiking. The trail is inaccessible during the winter due to snow. 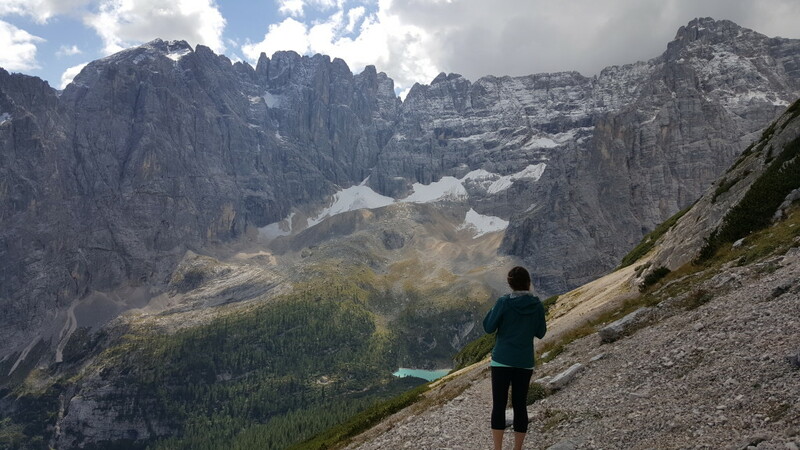 The hike begins from Passo Tre Croci. There is a parking area at the top of the pass. From the parking area, there is a mountain access road (service road) that connects to trail 213 to begin the hike. 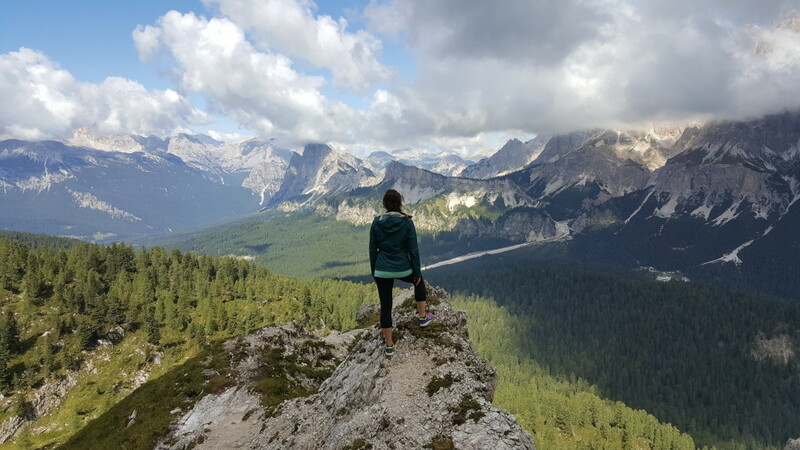 Stay in the mountain village of Cortina d’Ampezzo for excellent access to the Dolomites. Budget hotels start at €50. A good option for on a budget is Hotel Garni Ongara for €55. For an adorable bed and breakfast just outside of town with incredible mountain views, we highly recommend Baita Deona. It is very quaint with cozy rooms for €75. The hike starts in the forest where a walking path leads to trail 213. Continue on the trail until shortly after above the tree line where trail 213 intersects with trail 216. Turn left on trail 216 to continue towards Sorapis. After this point the trail ascends above the tree line, opening views to the surroundings. Following a short section where the trail is flat, the trail ascends up a very steep gulch. 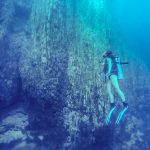 The ground is loose rock, causing feet to often slip out. This is the steepest section of the hike. Zigzag to the top of the gulch, at which point you are at the highest elevation of the hike. 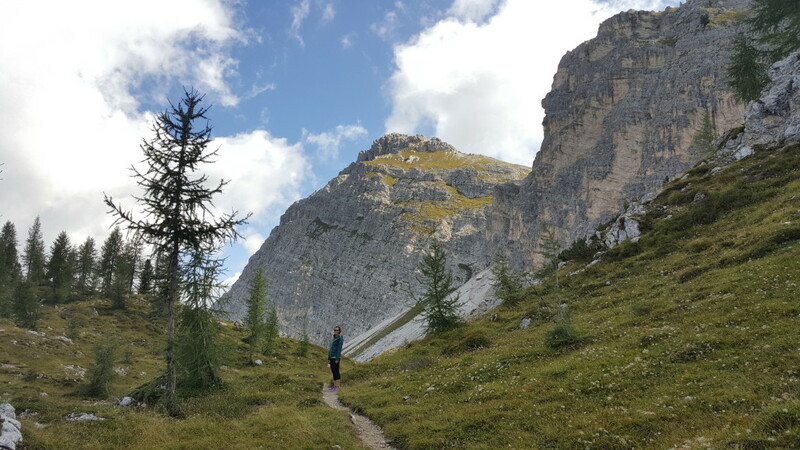 Continue on trail 216 towards Lago di Sorapis (or Rifugio Vandelli) at the top of the gulch. The trail is mostly flat or downhill from this point. 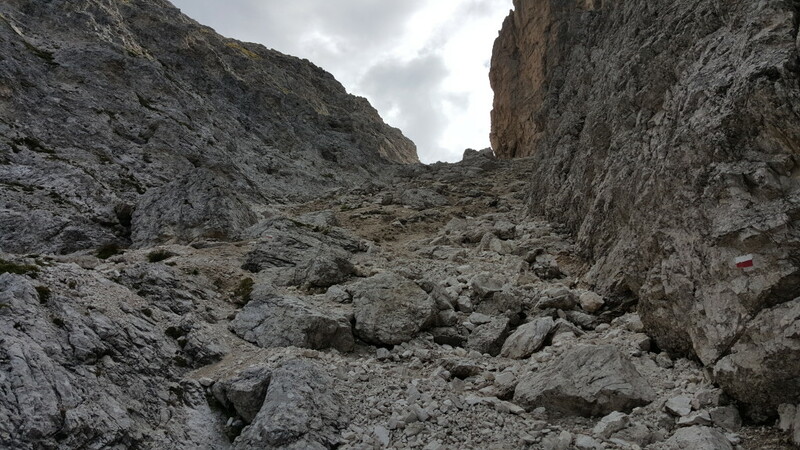 It leads to the first via ferrata section of the hike. 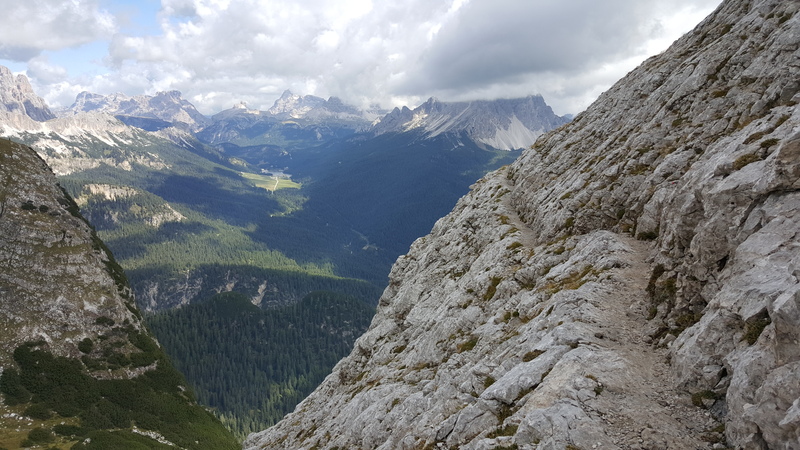 The via ferrata is daunting with a narrow path and enormous vertical drops. In some sections, there are cables along the cliff. 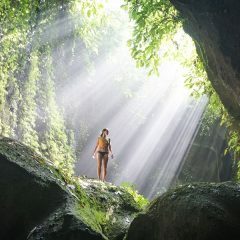 While this hike is challenging, it is not a technical hike, and no equipment is necessary. Several sections of cable continue as the trail leads around the side of the mountain. 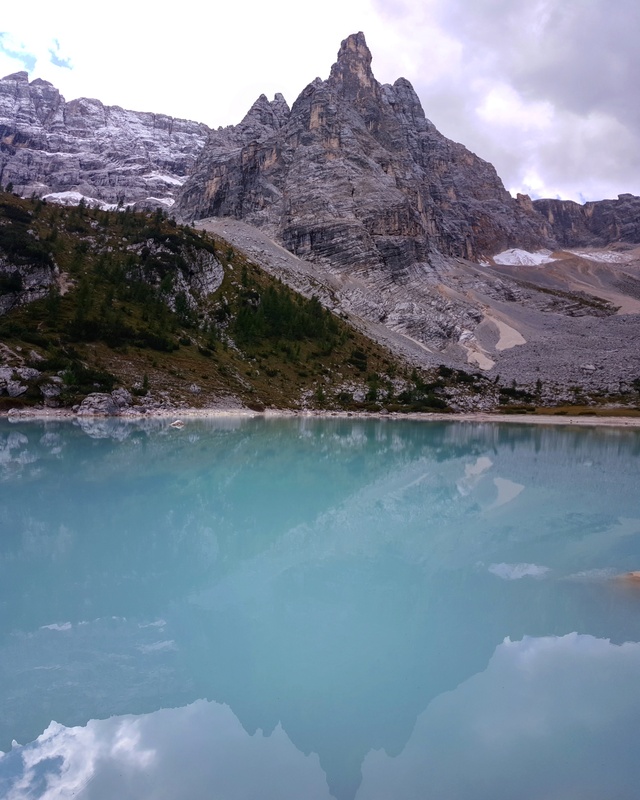 Following the via ferrata section, Lake Sorapis comes into view. 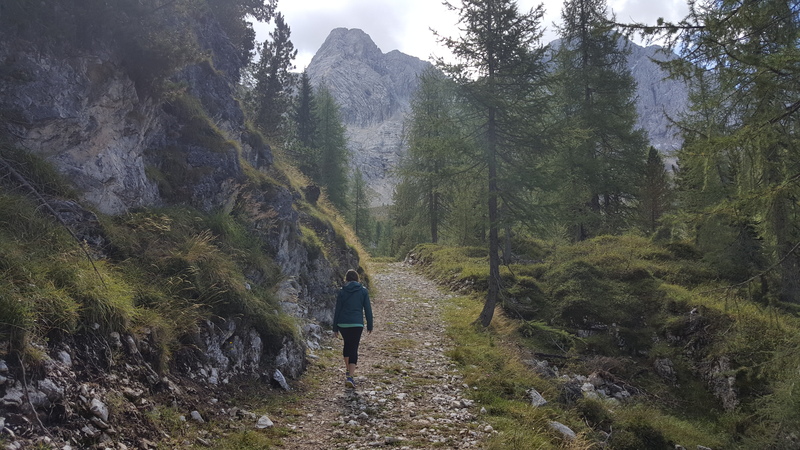 The trail descends first to Rifugio Vandelli, and just beyond that, Lake Sorapis. Make sure to walk around the lake. 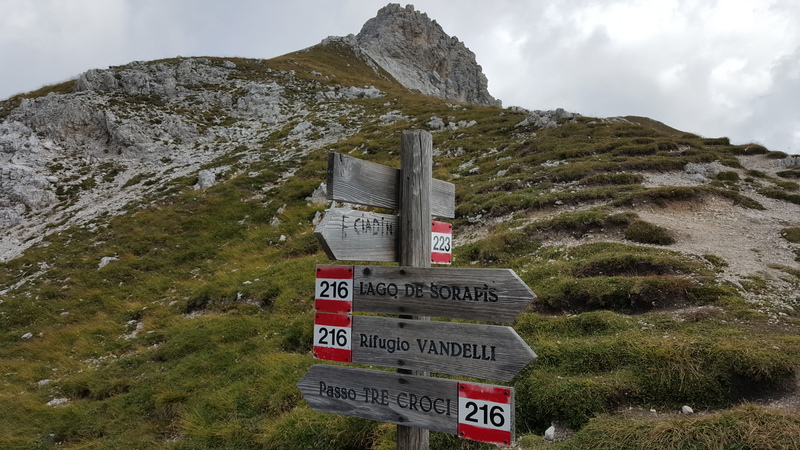 Take trail 215 to return to Passo Tre Croci. The trail is mostly downhill. There is a small section of via ferrata with ladders and cables, however, most of the hike is easy. The trail will lead you to the main road. From here, walk uphill for a few minutes to return to the parking area.